15. 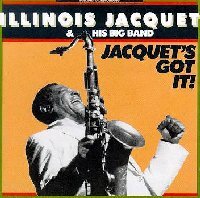 Illinois Jacquet & His Big Band - Jacquete's Got It! (Atlantic). I heard the first track from this CD on the radio, when I was in college and was so impressed that that week, I drove 45 miles away to find the CD. I didn't know how to spell his last name (I thought the DJ said "Shickett"), so I drove the trip a 2nd time, to find it. Jacquette's arrangement of Count Basie's Tickletoe is excellent. The Jon Faddis trumpet solo in it is jaw-dropping. Jacquet plays wonderful blues with his Texas Tenor sound on Blues from Louisiana, and he plays a great variation of his legendary solo on Flyin' Home. (1988). 17. 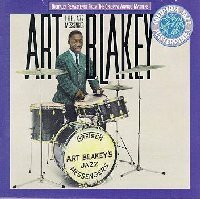 Art Blakey - The Jazz Messenger (Columbia). I really love this group! I have 6 and I haven't been disappointed with any of them. Blakey broke in many fine trumpet players, like Lee Morgan, Wynton Marsalis, Terrance Blanchard, and Clifford Brown. This CD features Hank Mobley on Tenor Sax, Donald Byrd (Trumpet), Horace Silver (Piano) and others. It's a collection of Blakey music from Columbia. The music is very catchy. Classic Hard Bop! (1956). 18. 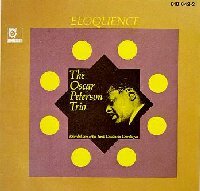 Oscar Peterson - Eloquence (Limelight). I am not certain how easy this CD is to find. I have only seen it at a second-hand store one time. If you can find it, it certainly is worth picking up. It features his trio of Ed Thigpen (drums) and Ray Brown (bass) and is recorded at Tivoli Gardens, Copenhagen. I doubt this is considered one of Peterson's "classics", but it was the first Peterson CD I got, and was simply in awe when I heard it. It features 8 songs, some classics, like Autumn Leaves and Misty and some originals. His group works great together. When you listen to Autumn Leaves, brace yourself, or you will be blown away! (1965). 19. 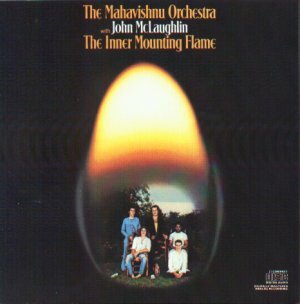 Mahavishnu Orchestra - Inner Mounting Flame (Columbia). 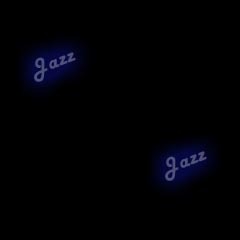 This is jazz/rock fusion -- A rock sound with all the improviastional characteristics of jazz. Excellent music and it's an easy CD to "break in", as it has 8 songs, so none of them are too long. 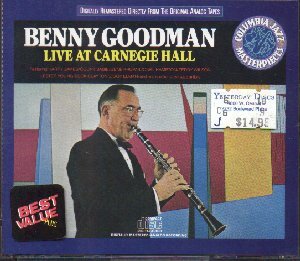 I bought this CD initially because I wanted to hear drummer Billy Cobham. Cobham lived up to the hype I had heard about him, but I also really enjoyed the guitar solos of John McLaughlin, as well. This is the first (and best) Mahavishnu Orchestra with McLaughlin, Cobham, Rick Laird (bass), Jan Hammer (piano), and Jerry Goodman (violin). Great stuff! (1973).